Since drinking water concerns in cities like Flint, Michigan and other areas of the country have become more and more common, many of us are aware of the importance of clean, safe drinking water. It’s also increasingly apparent that this may not be a guarantee in the Wichita Area, in the water infrastructure our local municipalities use. It’s why growing numbers of people are turning to water filtration systems to ensure their drinking water is safe — but did you know your tap water isn’t the only place you should be thinking about water safety and quality? 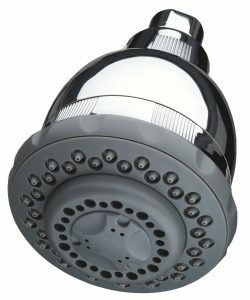 Check out some of our most popular shower head filters, or contact your local Culligan of Wichita to learn more.